Bhí rang a dó ag imirt cispheil sa rang corpoideachas inniú. 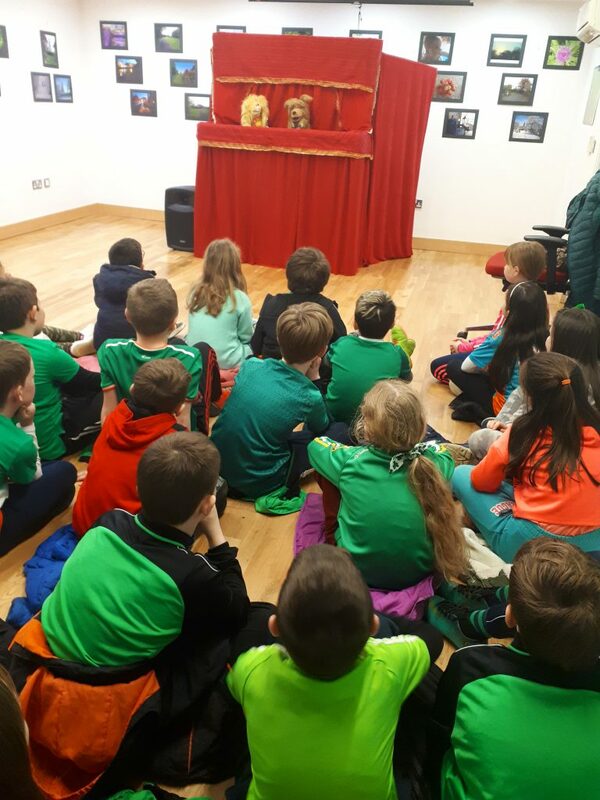 Chuaigh rang a h-aon agus rang a trí go dtí an leabharlann ar maidin chun seo puipéad a fheiceáil. Bhain siad an sult as . Míle buíochas d’Eithne agus an foireann go léir sa leabharlann! 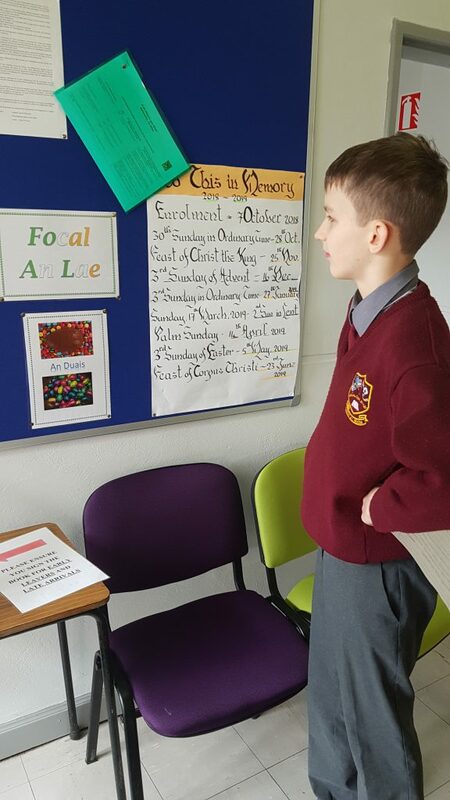 Tá na daltaí ag déanamh toraíocht taisce ar maidin sa scoil. Ar an Aoine, beidh duais ar fháil i ngach rang. Chualamar gur uibheacha cásca móra is ea iad! 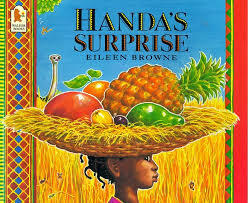 Ms.Moffatt’s Senior Infants have been very busy working on the book ‘Handa’s Surprise’ recently. They even made a video of them performing music and drama based on the story. Click on the heading above to view the video. 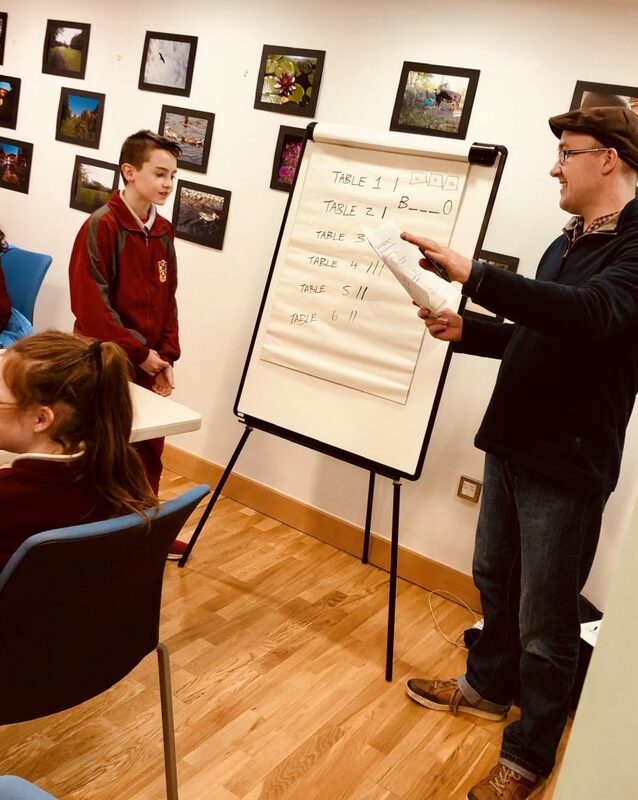 Artist and illustrator Wayne O’Connor conducted a workshop today for 5th class pupils. Thanks to Eithne and all at Ballymote Library for facilitating the event.